One Platform. All Your Communications. An intuitive dashboard that captures, compiles and organises all of your business communications with the familiar and simple-to-use HubSpot platform. Threads seamlessly logs all your business’ communications into the HubSpot platform. That means one username, one password and one company-wide understanding of your communications. The result? A cleaner, faster, more efficient way of doing business. CRM adoption is a tricky task; data entry can be an extremely lengthy process subject to human error. Communications may not be logged accurately, which can result in a poor overview of your business communications and customer relations. 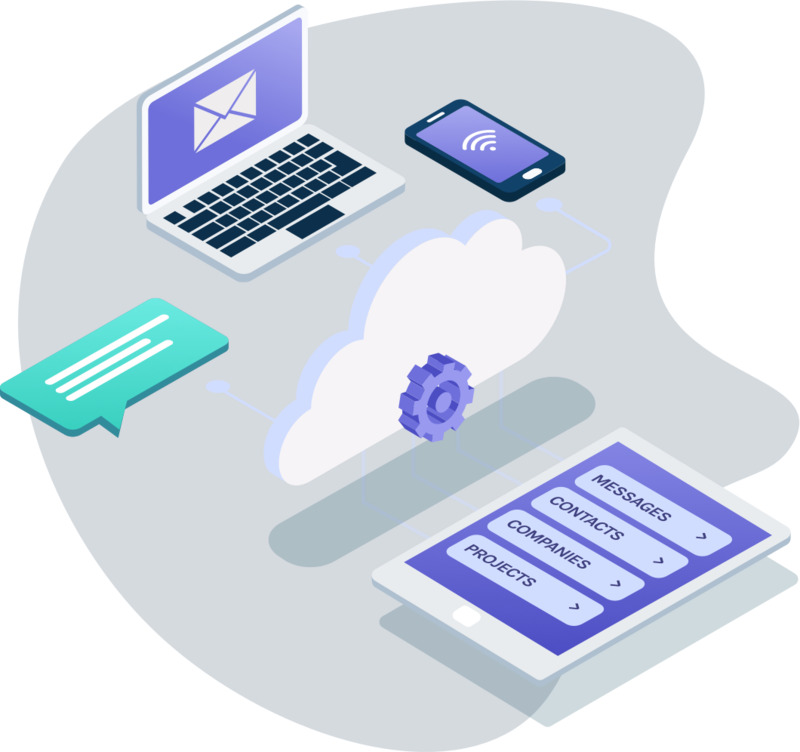 The Threads integration for HubSpot eradicates this risk by automatically importing all your digital communications, including emails and calls past and present, so that you and your team never miss a beat. HubSpot is the market leader in inbound marketing technology. But logging inbound phone calls can be time consuming and often requires frantic notetaking to certify that all the key details of the phone call have been captured. 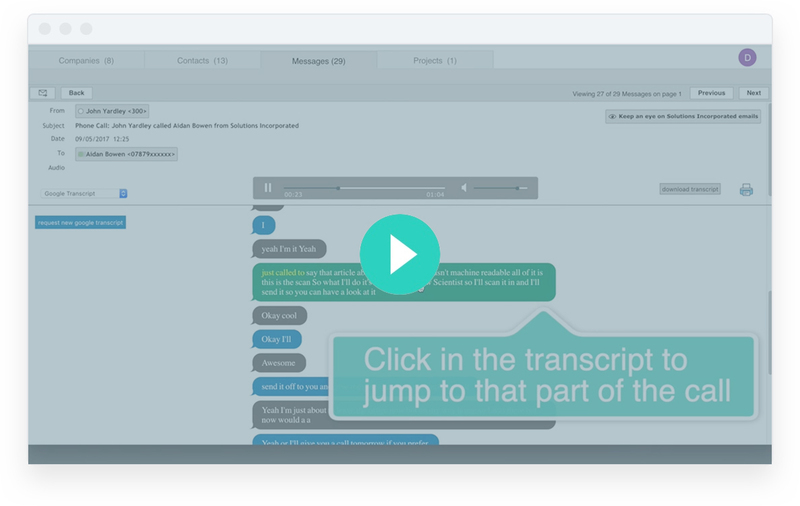 Threads telephony subscribers no longer have this problem as all inbound and outbound calls are automatically recorded, transcribed and logged with your HubSpot contacts. Migrating historic emails can be a significant challenge, and even a barrier to entry, when attempting to switch CRMs. 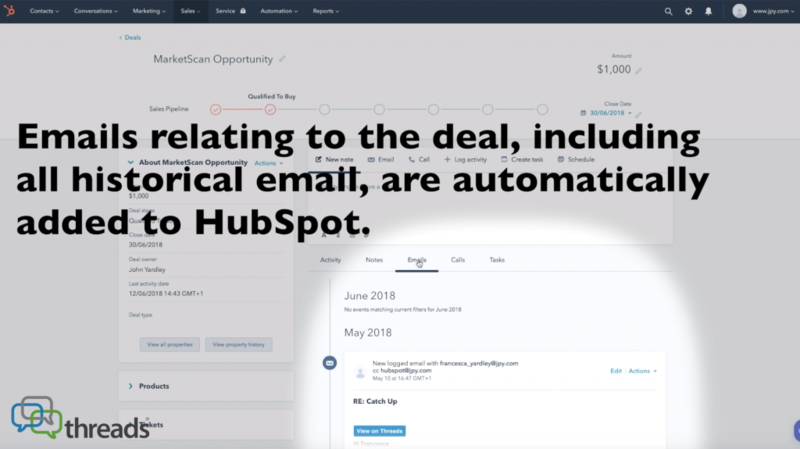 When connected, Threads can scan your inbox for any historic emails associated with your HubSpot contacts, so there is no need to engage expensive data migration specialists or waste forwarding old email threads into HubSpot. 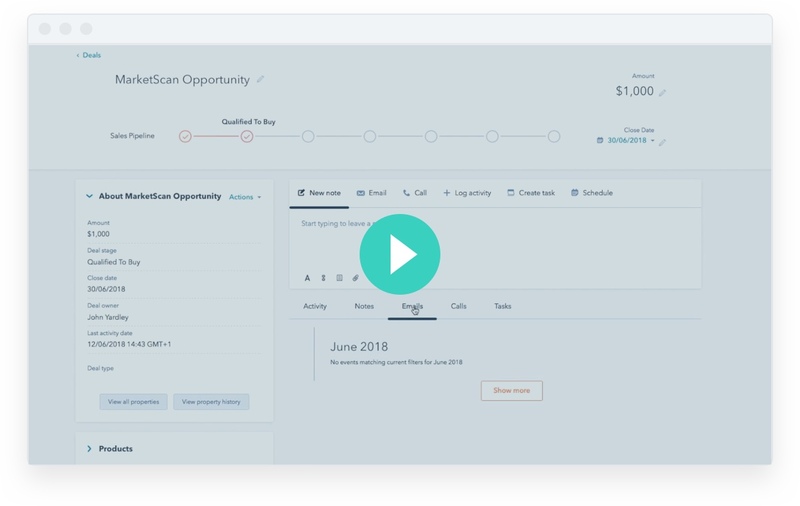 With Threads + HubSpot integration, you can be confident that your CRM will be up-to-date and ready to use from the offset. Fed up of not being able to view attachments to emails from within HubSpot? This is no longer an issue with the Threads + HubSpot integration as Threads will store a copy of any attachments associated with sent or received mail, so you can access them even if you didn’t receive the original email. By automatically logging all the data sifting through your organisation every day within HubSpot, Threads will enable your business to operate in a transparent and hyper-organised fashion, without requiring you to alter your existing practices. Innovation has never been easier. When employees leave or are absent, the quality of data becomes vulnerable to compromise during the handover between employees. Threads certifies the accuracy of your data within HubSpot, even during changes in staff. Threads is an intelligent platform featuring state of the art AI technology that allows you to search your HubSpot data so that you can access information in one click.